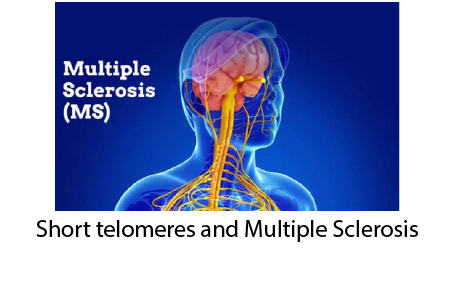 In this recently presented study that you can read about here, we have some interesting links between shorter telomeres in white blood cells and multiple sclerosis. I could literally post every day about links between telomeres and diseases and never get caught up. Lately, I have been posting more about culture and the zeitgeist but I will refer you to this idea: the reason that telomere shortening is associated with nearly all diseases is two-fold. First, the stem cells that make your white blood cells age and get chromosomal damage from telomere shortening. Secondly, the actual stem cells that are making organs (in this case the central nervous system) also have telomeres that shorten and cause cell dysfunction and disease. 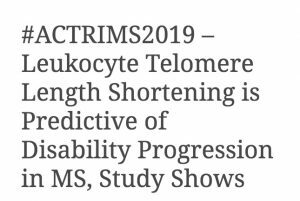 I don’t know if the telomerase activator that the patients took were directly or indirectly helpful but here is a link to a video podcast that I did about the subject. The reason that there is a link between telomeres and all diseases is both causative in the local organs and coincidental in your white blood cells. 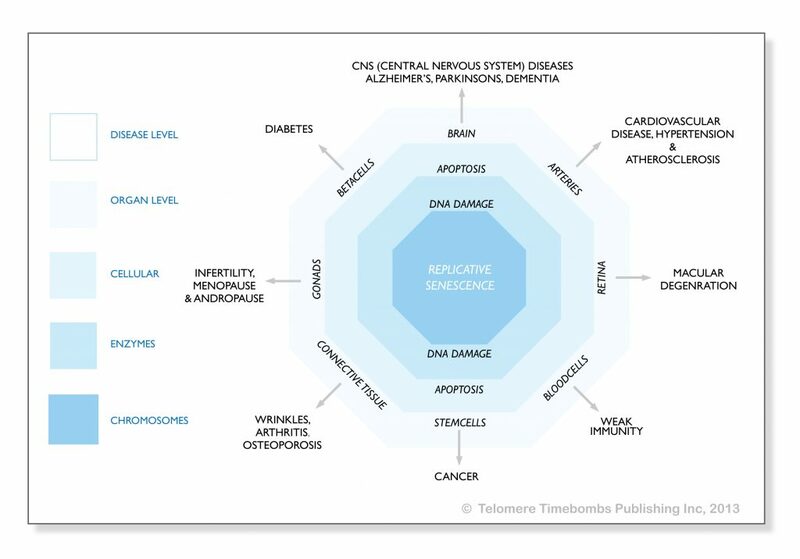 I refer you to this diagram from my first book, Telomere Timebombs: Defusing the Terror of Aging. I don’t know but as for my own eczema, I can say that for whatever reason, this autoimmune condition is better when taking it.